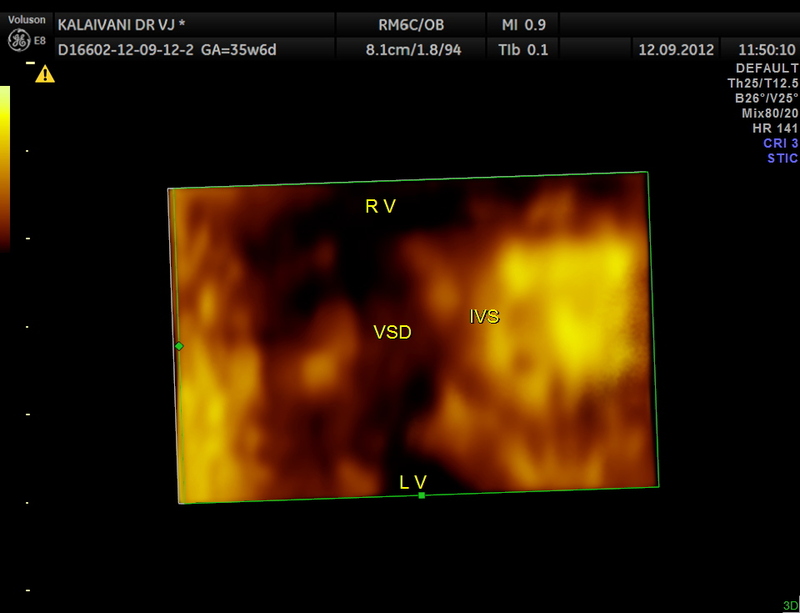 ← SHOULD HAVE BEEN DETECTED EARLIER !! 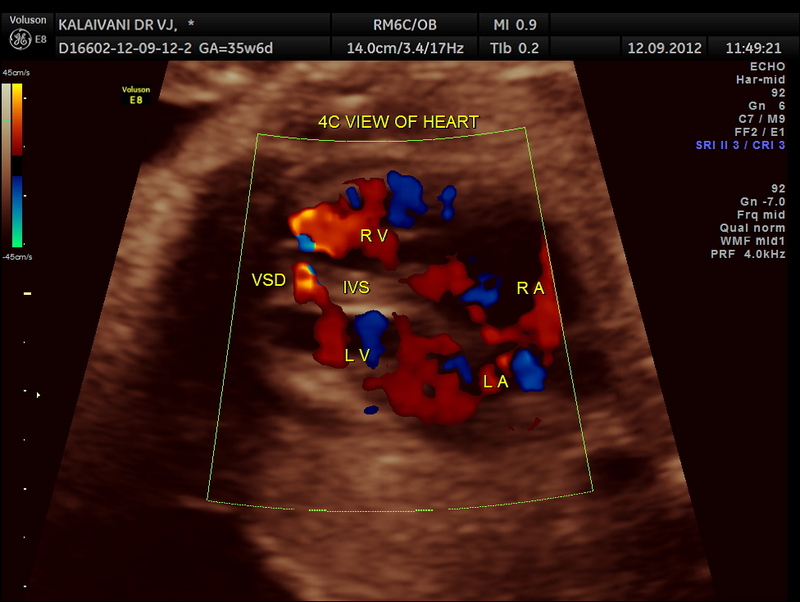 This is a review scan done for a 21 year old primi and now the gestational age is around 34 to 35 weeks . 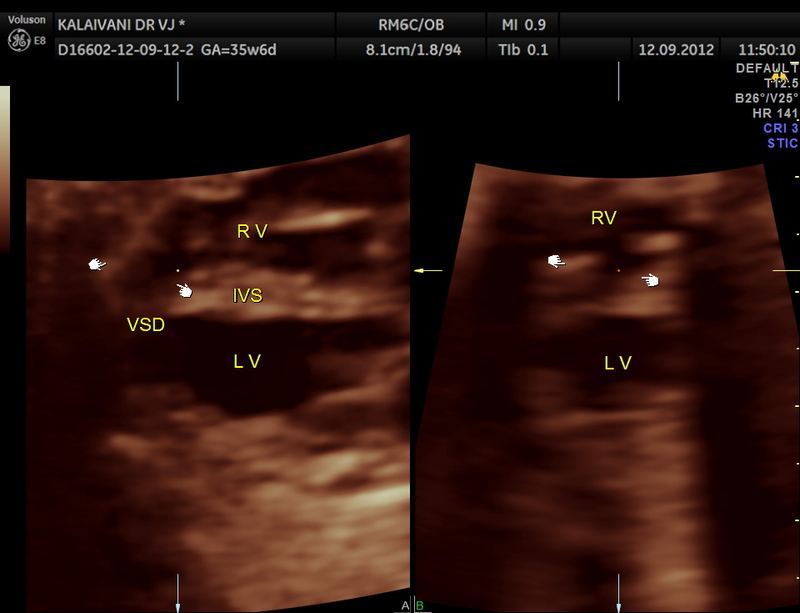 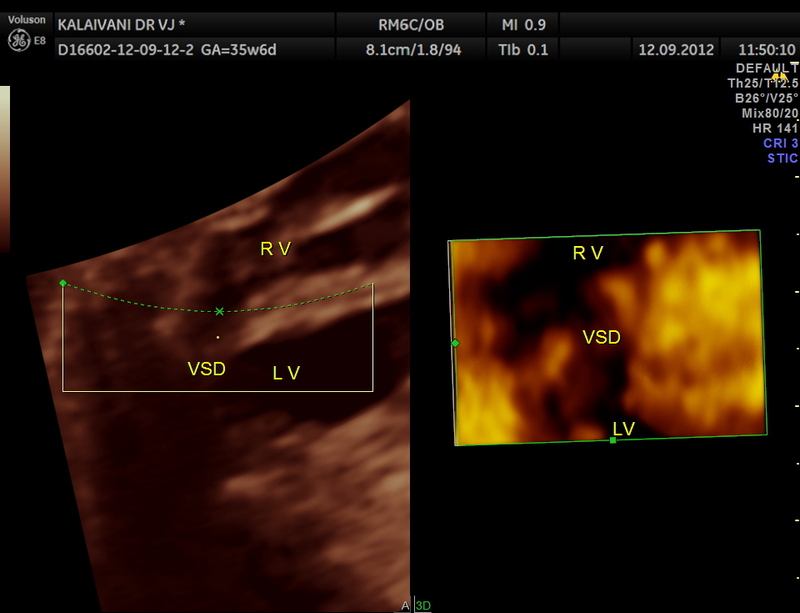 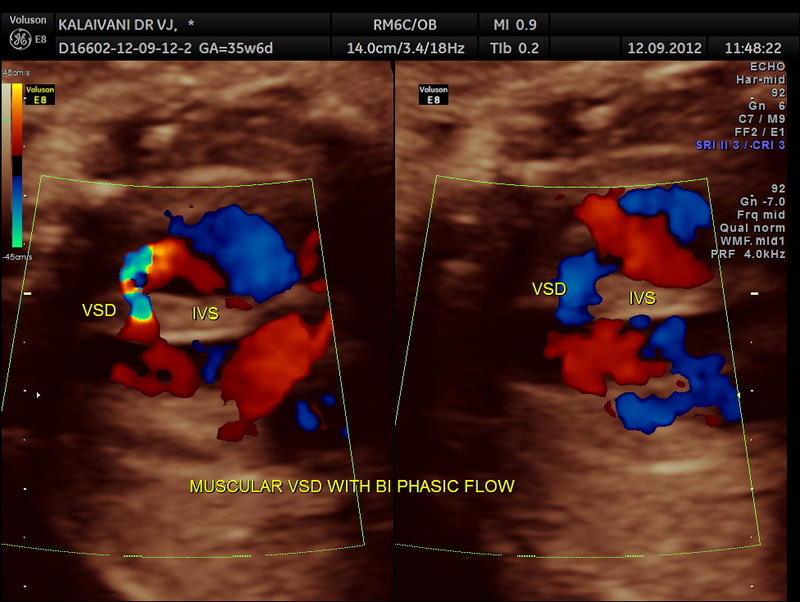 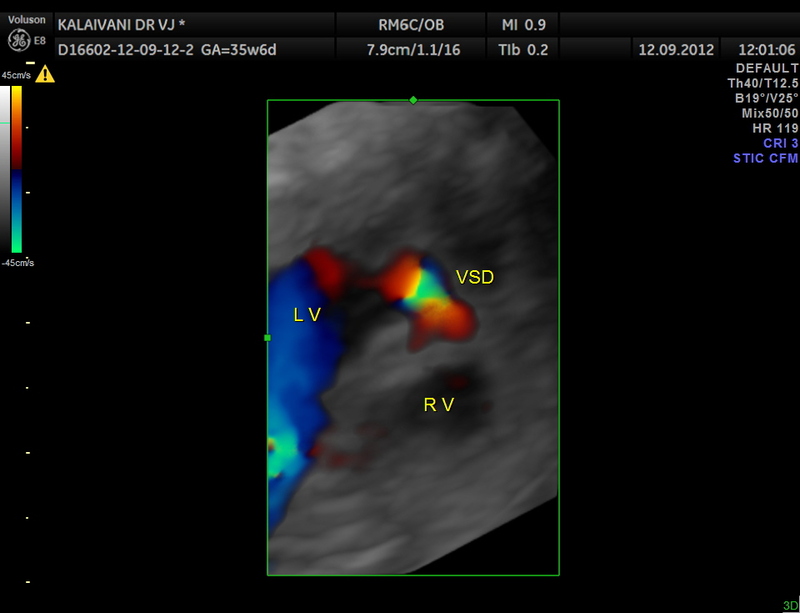 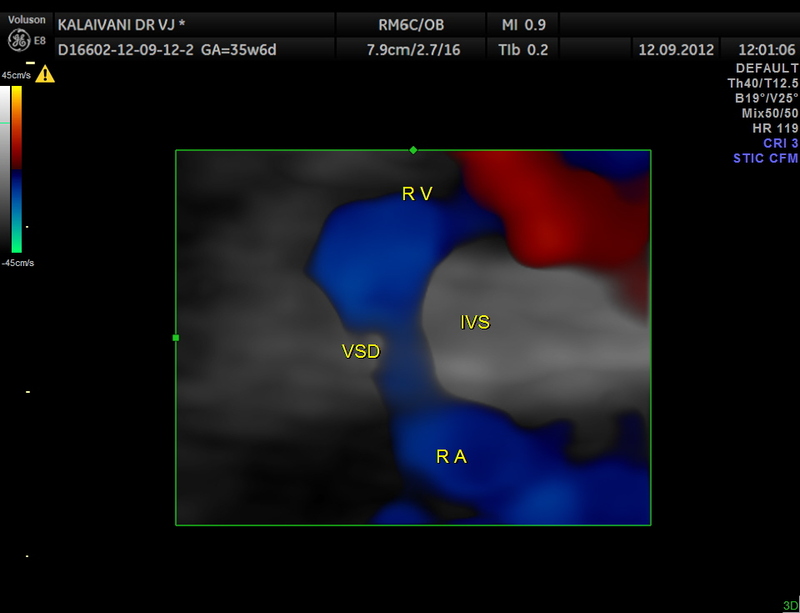 Earlier scan revealed a muscular VSD and some of the images were published in this blog a few weeks ago.